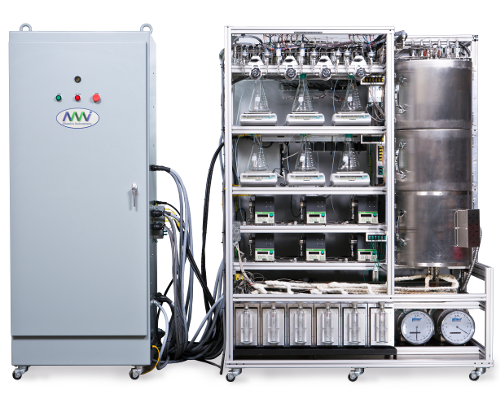 The BenchCAT™ family of Altamira instruments are custom-designed microreactors, which are fully automated and designed for unattended operation. All BenchCATs are designed around: number of gas inlets, number of liquid pumps, flow rates, pressure and temperature maximums, reactor material, preference of control software, future upgrade possibilities, etc…. BenchCAT microreactors can be designed to conduct iso-thermal or temperature-programmed experiments and analyze the effluent with a mass spectrometer, gas chromatograph, FTIR, or your choice of detector. Single or multi-station instruments are available. Microreactors built specifically for Biofuel applications are also part of this line of instruments.